Dudley Community Church continues to work closely with the homeless and substance-dependant members of our community and we are supporting them. Our vulunteers are going every monday for help. If you, or someone you know, are having difficulties with issues relating to homelessness or addiction we can provide support, advice and practical help. The staff are non-judgemental and ready to listen to your needs. The hot meals, support and care we provide go a long way to raising the self-esteem and quality of life of many local disadvantaged people. By giving them a helping hand to get back on their feet, many of our service users have gained the confidence to rejoin their families and get back into training and employment. We have Art class and cooking. We are making food and after drawing. We are learning how can we work together with our volunteer. Our volunteers usually share their own country foods. We are eating after starting presentations and drawing. I would like to explain to about art. When volunteers start a work of art it’s fun and engaging but sometimes they have the opportunity to consider just how to bring that person to life. By asking students questions and encouraging more of a discussion they can begin to see all the possibilities they have in creating. An art teacher can take the role of someone who challenges students to go beyond a simple drawing to understanding what it really means to be that person. Though some art is all about the artist’s perspective, another approach looks at a person without imposing preconceived notions on them, but adapting the work to fit the personality of the model. For example, if someone has a very dynamic personality, it’s important to choose the proper materials and application techniques for the portrait. Kids learn that to create a portrait of a person, they have to put themselves in that person’s shoes and learn to understand their perspective. This helps volunteers develop empathy and open-mindedness. 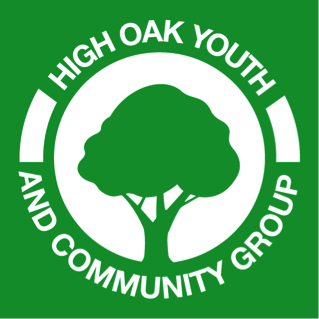 The young people, volunteers and staff will work together with the community to create innovative projects to help build relationships and create community cohesion and understanding of each other. Looking at issues around culture, traditions, intergenerational work and understanding of each other. Young people working with Youth in Action to develop project around mobility, citizenship, cultures, traditions, understanding the European Union and working together with other young people across the world. Understanding mobility and gaining vast amounts of new experiences and skills.And also our volunteer learning “how they can manage time and under pressure”. The volunteers support the organising of community events at Cornerstone church in Pensnett. For example, the volunteers prepared a presentation and food for a Gospel event in May 2018. Furthermore they are supporting the entertainment for children on an annual barbeque in the Grange Park in Dudley.